UPDATED: September 10, 2016, at 3:56 p.m.
Asian American Studies has historically seen little representation at the College, but this fall students can take at least four courses in the field, offered roughly a semester after a group of undergraduates began pushing for more awareness in the discipline. Harvard has no formal Asian American studies program, so a group of undergraduates last winter created a task force called the Task Force on Asian and Pacific American Studies, which advocates for more curricular offerings. The courses offered this fall are housed in History, History and literature, Women, Gender, and Sexuality Studies, and the College’s newest concentration, Theater, Dance, and Media. 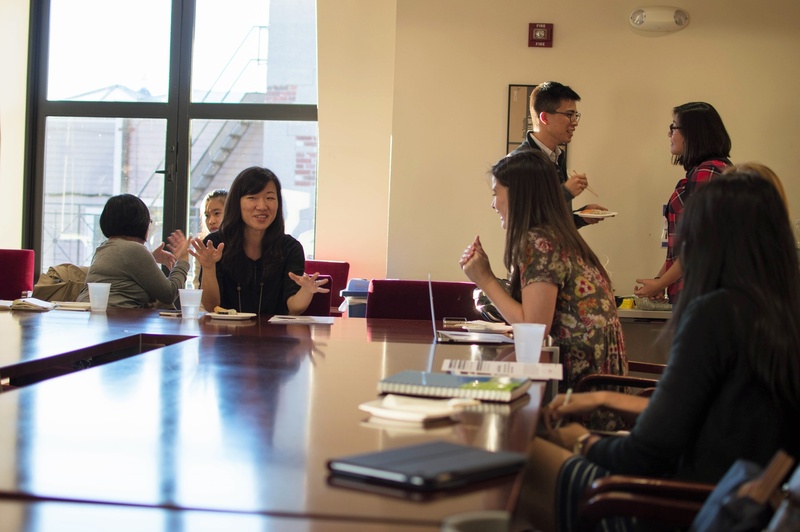 Undergraduates, graduates, and faculty alike discussed the intended goals and structure of the Asian American studies working group, separate from the student task force, last fall. Terry K. Park, a lecturer in History and Literature, is teaching History & Literature 90cm: “Asian American Cultural Studies.” New to Harvard, he comes to the College as a specialist in a field with no department or tenured faculty. 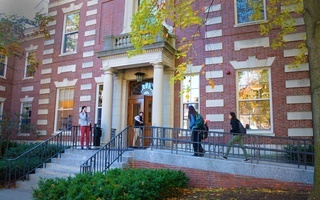 But the presence of a growing group of professors in Asian American studies could make a difference for its future at Harvard, Park said. “I think there’s a small cohort of Asian American studies faculty, and hopefully it will show the administration that there’s strong interest among students, that there are faculty that are committed to help grow Asian American Studies,” Park said. Park said that he applied for the job, in part, because assistant professor, Genevieve A. Clutario, who was previously a College Fellow, encouraged him to do so. This semester, Clutario is teaching two Asian American studies courses, one in History and one in History and Literature. Undergraduate task force co-coordinator Sidney C. Li ’19 said he thinks much of the faculty support for the discipline comes from History and Literature, but in the future the task force would like to draw support from a broader range of departments, such as Sociology and Government. Deborah Foster, the Director of Undergraduate Studies for TDM said she was excited about the prospect of searching for a joint College Fellow with WGS, and said the courses Huang is teaching this year are a valuable addition to both programs. “We are interested in theater at Harvard going beyond its Western traditions. TDM is intent on broadening its scope in that regard,” Foster said. Huang is currently only contracted for one year, but Foster said she hopes funding will continue for the joint WGS and TDM College Fellows program. In addition to pushing for more courses in the discipline, the undergraduate task force also hopes to fundraise in the future, according to co-coordinator Juhwan Seo ’17. He said he hopes to work with alumni groups, such as the Harvard Asian American Alumni Alliance, to raise money for faculty positions and a research center. Seo said the group also plans to host events similar to last semester’s teach-ins roughly every two weeks in order to help increase student interest in Asian American studies. While Li said he would be interested in pursuing a secondary in Asian American Studies, he said he thinks it is unlikely an official program could be created before his time at the College ends. “There’s a very long path we have to go down.There’s no infrastructure for this kind of thing at Harvard,” he said, though he remains optimistic about the future. —Brittany N. Ellis contributed to the reporting for this story. A previous of this article incorrectly indicated Terry K. Park is a College Fellow. In fact, he is a lecturer. Due to an editing error, a previous version of this article implied Genevieve A. Clutario is currently a College Fellow. In fact, while she was previously, she is now an assistant professor. When someone claims that they’re “just not attracted to Asian men,” it isn’t a matter of preference. It’s an example of the way Americans reinforce systems of oppression on an individual level. The insertion of perceived “white discrimination” into Asian American perspectives on college admissions by people who are not Asian American is an attempt to use our struggles against racist national contexts to promote the very structures that have disempowered us.